This article is a listed top 10 largest building in the world. This ranked by structure height and highest point of the building measure. 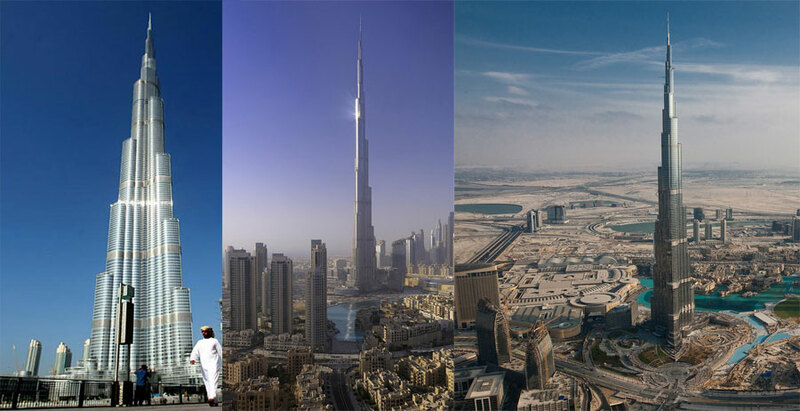 Burj Khalifa is called that Burj Dubai before its inauguration. Burj khalifa construction start 6 January 2004 and exterior of structure complete on 1 October 2009 and officially open for public in 4 January 2010.The height of the Burj khalifa building 829.8 m. The primary contactor Burj Khalifa building Samsung C&T of South Korea. The Towers construction is done by Al Ghurair Investment group. Shanghai Tower is a mega tall skyscraper under construction in Pudong, Shanghai. 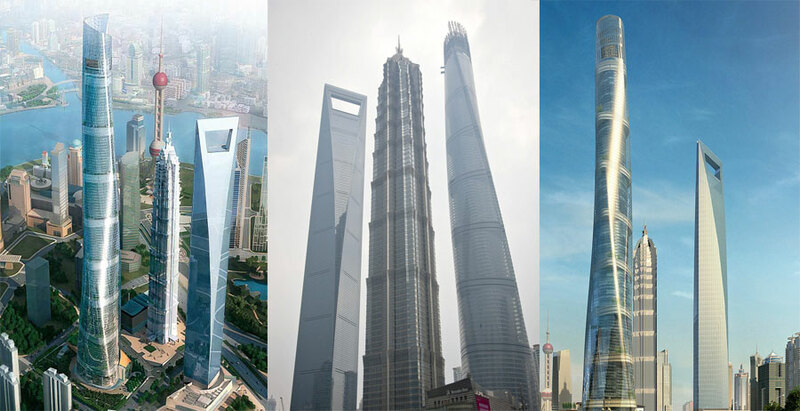 Shanghai Tower design by Gensler and Chinese state-owned companies. The building height approximately 632 metres. Shanghai tower Construction start in November 2008 and it is complete in 2016. Shanghai tower is a 2nd largest building in the world. Abraj Al-Bait Clock Tower is called that Makkah Royal Clock Tower Hotel. 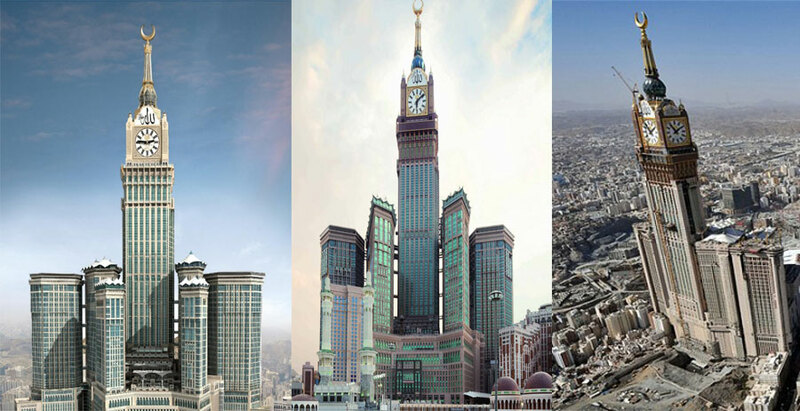 is a Saudi Arabia government-owned mega tall building complex in Mecca. These Tower are a part of the King Abdulaziz Endowment Project and 3rd largest tower in the world. The developer and contractor of the tower is the Saudi largest construction company Saudi Binladin Group. The height of the Abraj Al-Bait Clock tower 601 metres. 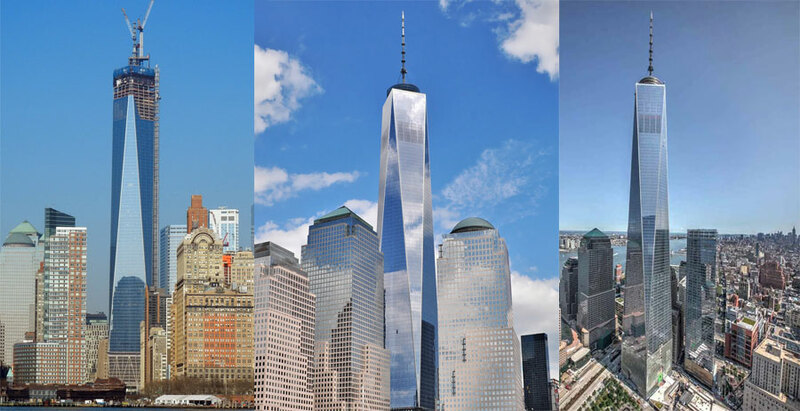 One world trade center is refer the main building of the new World Trade Center Tower in Complex Manhattan, New York City. One world Trade Center 4th tallest building in the world and 104 Story in this complex. The original which was destroy in 11 Sep 2001 by terrorist attack. New world trade center construct in the west of old world trade center. The height of the One World Trade Center 541 meter and 1,776 Feet. CTF Finance Center is a mega tall sky skyscraper under construction in Guangzhou, China. It will be the 2nd of two Guangzhou Twin Tower skyscrapers overlooking the Pearl River in Guangzhou. It is expected complete in 2016 and height of the CTF Finance Center 530 metres and 1740 Feet. The top of building construction complete 10 July 2014. Taipei 101 is a mega tall skyscraper in Xinyi District, Taipei, Taiwan. Taipei 101 in 2004 world largest building in the world but open Burj Khalifa 2010 its rank 6th and become tallest and largest green building in the world. Taipei 101 construct design by C.Y. Lee and constructed KTRT Joint Venture. 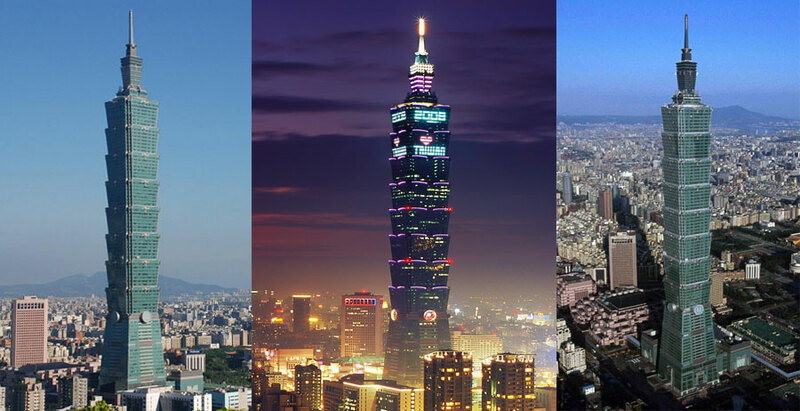 Taipei 101 construction start in 1999 and complete in 2004. Taipei complex 101 floor and 5 ground floor. The height of the Taipei 101 508 meter and 1,667 Feet. Shanghai World Financial Center is mega tall skyscraper located in the Pudong district of Shanghai, China. Shanghai World Financial Center was design by Kohn Pederson, China State Construction Engineering Corp and Shanghai Construction General company. 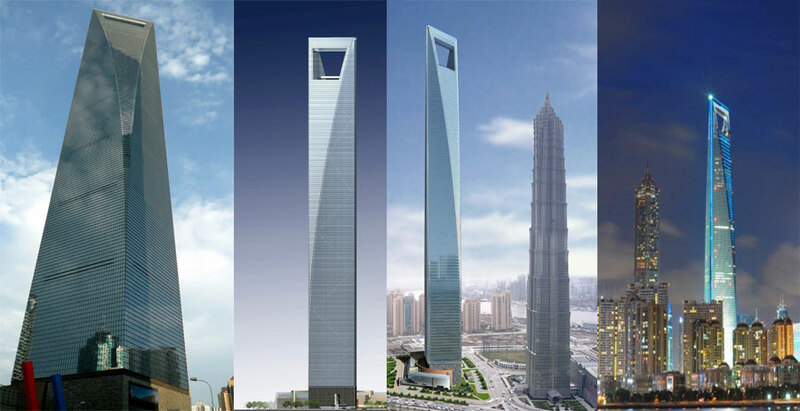 Shanghai World Financial Center construction start in 27 Aug 1997 and construction complete in 2008. The height of the Shanghai World Financial Center 492 meter and 1,614 Feet. International Commerce center is a mega tall skyscraper completed in 2010 in West Kowloon, Hong Kong. It’s design by MTR Corporation Limited and Sun Hung Kai Properties, Hong Kong’s metro operator largest building developer in Hong Kong. 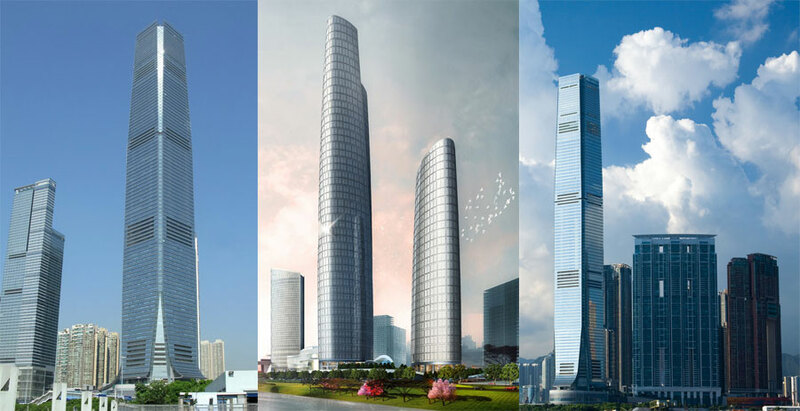 International Commerce Center construction start in 2002 and complete in 2010. The height of the International Commerce Center 484 meter and 1,588 Feet. The Petronas Towers are mega tall twin skyscrapers in Kuala Lumpur, Malaysia. 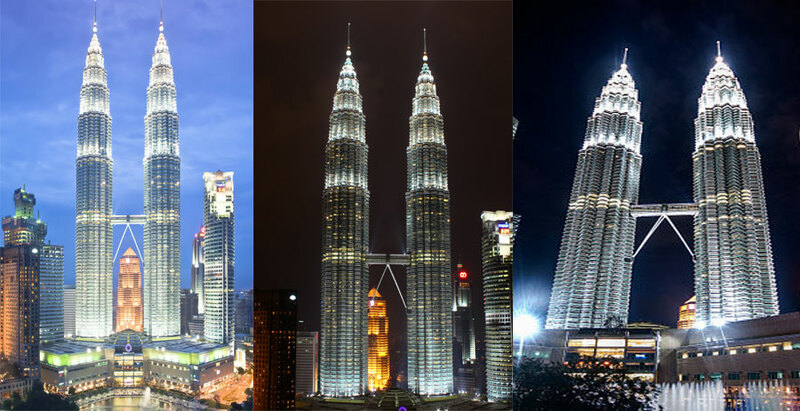 Petronas tower design by Argentine American architect César Pelli. Tower construction planning in 1 jan 1992 start construction in 1 Marc 1993 and construction complete in 1996. The owner of the twin tower KLCC Holdings Sdn Bhd. The height of the International Commerce Center 452 meter and 1,483 Feet. Zifeng Tower is a mega tall skyscraper completed in 2010 in Nanjing, China. Zifeng Tower 89 story in this building retail and office space in lower section and public observatory near the top. 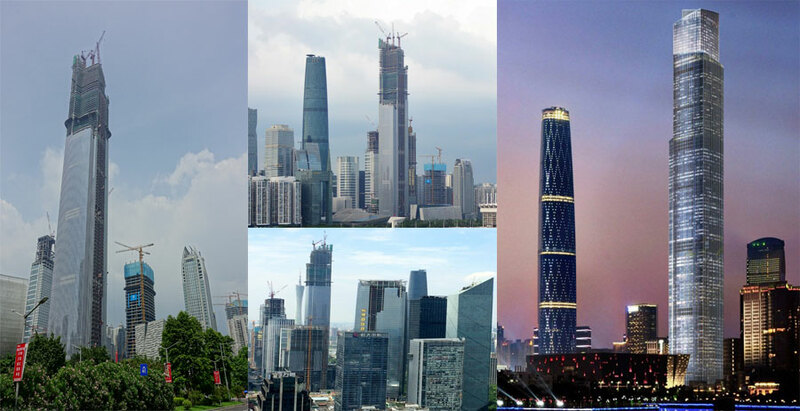 Zifeng Tower construction start in 2005 and complete in 2010. 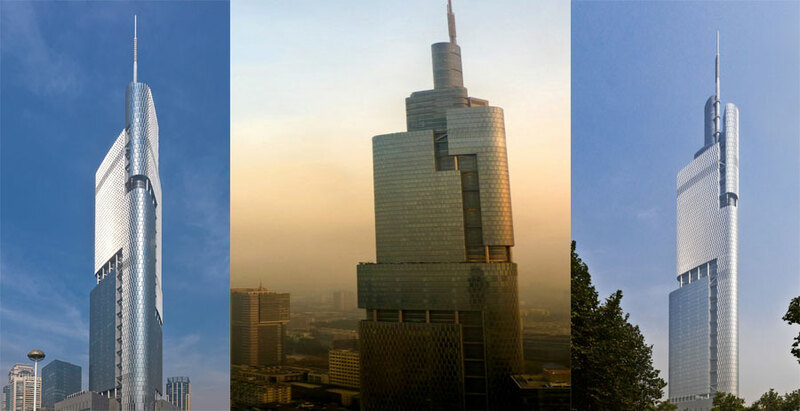 The height of the Zifeng Tower 450 meter and 1,480 Feet.